Not long to go until one of my favorite holidays of the year... Halloween!!! 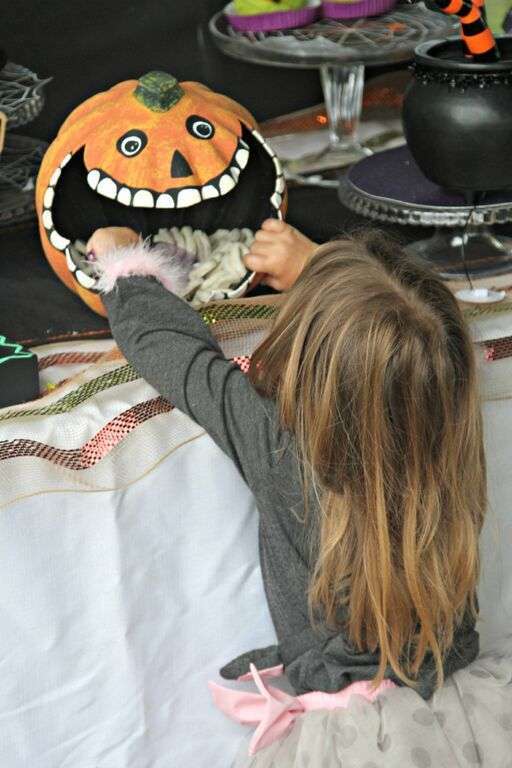 It's such an awesome holiday and Halloween parties are so much fun, especially for young kids. What a better way to impress yours guests then with an amazing dessert table! This one is incredible. 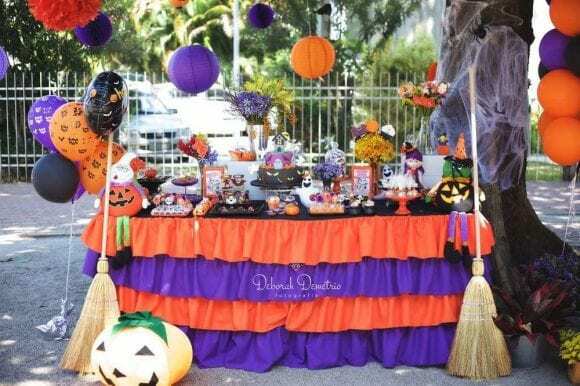 The ruffled orange and purple table skirt makes such a statement, and the dessert table covered with so many fantastic Halloween themed sweets bring it all to life! You've got to also love the balloon decor and witches' brooms! I can guarantee you there isn't a kid out there who it's going to fall completely under the spell of this amazing Halloween cake! 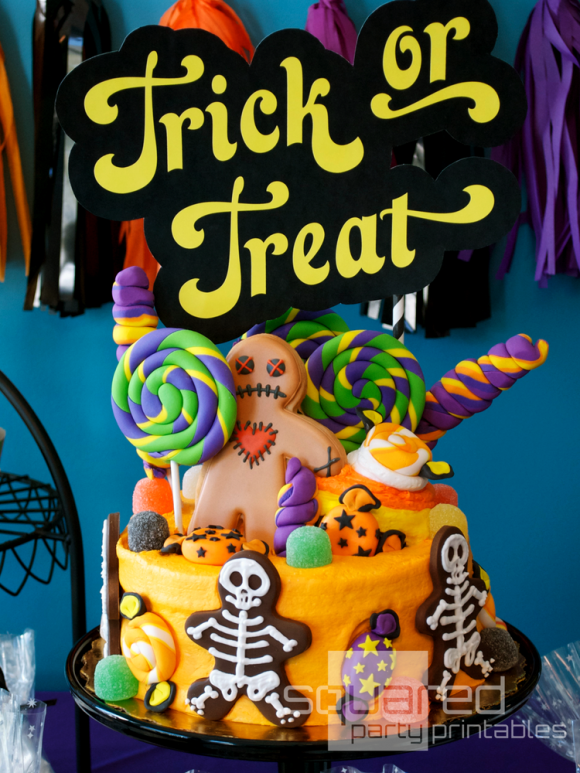 It's crazy with it's bright colors, covered in loads of candy and decorated with stunning sugar cookies. What a blast!! Have fun with some awesome spider cupcakes like these. They are so easy to make. 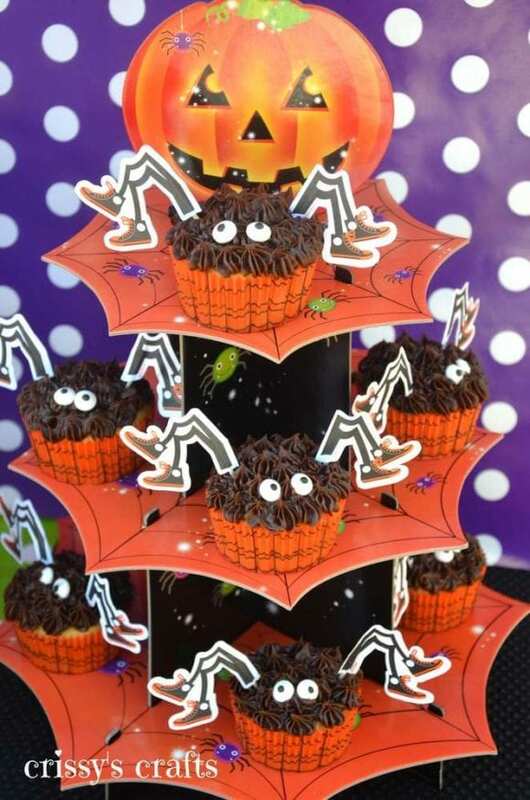 Simply decorating chocolate frosted cupcakes with 2 little candy googly eyes and add printable spider legs! 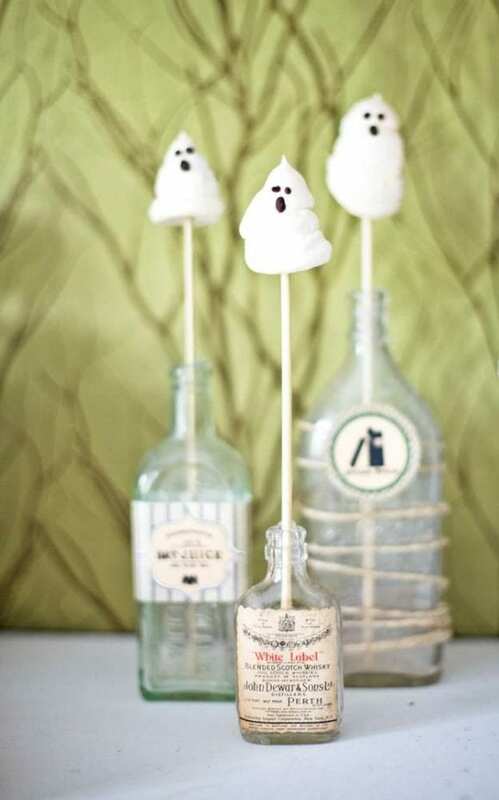 Another awesome addition to your dessert table are these meringue ghost pops. They are sure to put a smile on kids faces and taste yummy too. 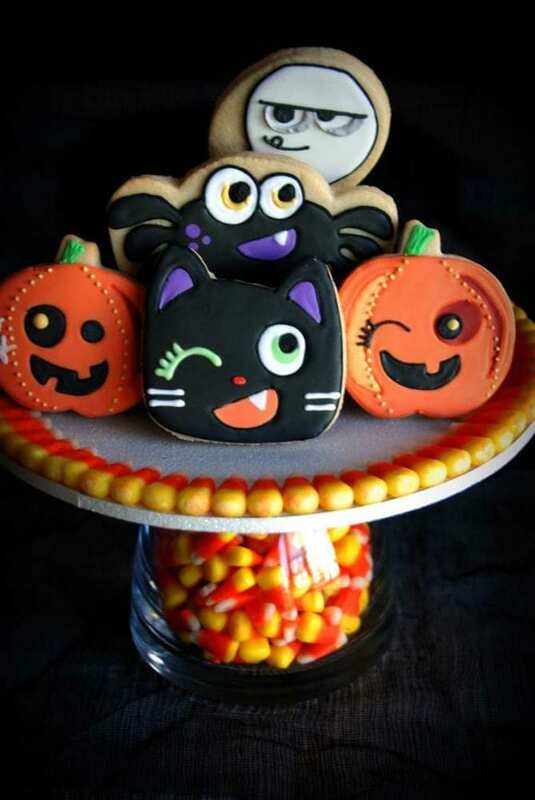 Treat your little guests to a wonderful mix of decorated sugar cookies like these. They are all so cute that they'll have a hard time choosing which one to take a bite out of! 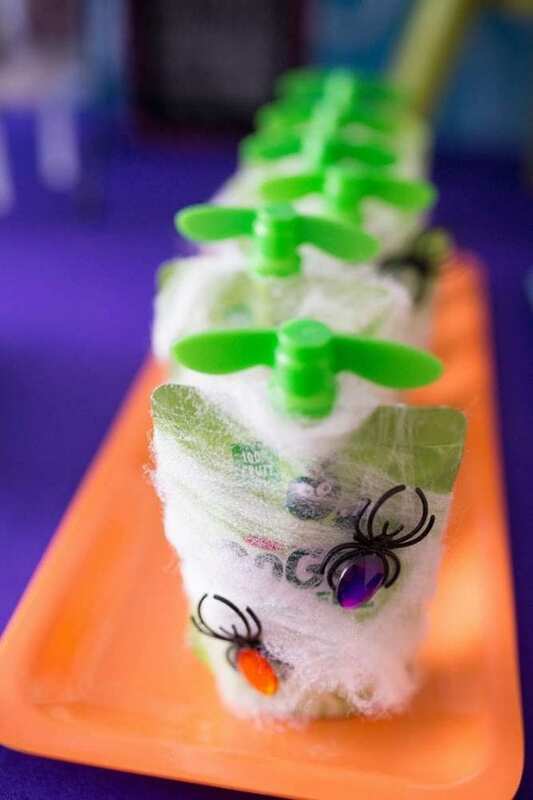 Transform regular applesauce pouches into perfect Halloween treats by wrapping them in spider webbing and gluing on a couple of plastic spiders. 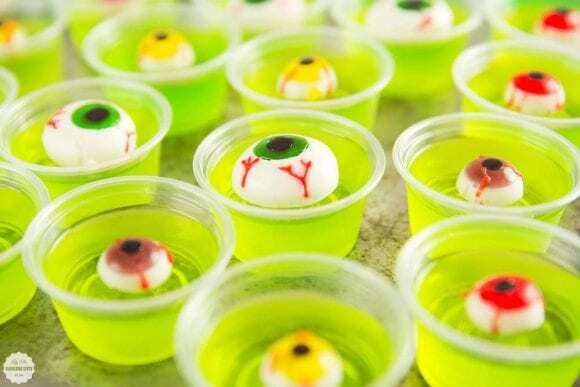 Spook kids by turning regular lime green Jello pots into fun Halloween ones by just topping them with candy eye balls. 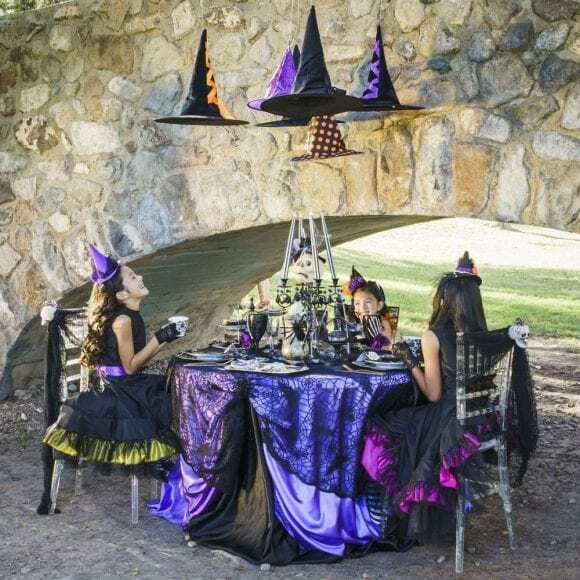 Add a touch of witches glam to your Halloween party with an incredible table setting like this one! I absolutely love the witches' hats hanging above the table with the gorgeous table cloth and fabulous black candle sticks topped with a skull. It's just so luxurious! So, if you want to add a touch of style to your party look no further. Sometimes the most simple decorations are the most effective. Just grab loads of white balloons with scary faces and mix them together with a bunch of black ones for an awesome effect. Scatter them around a room and you're all done! 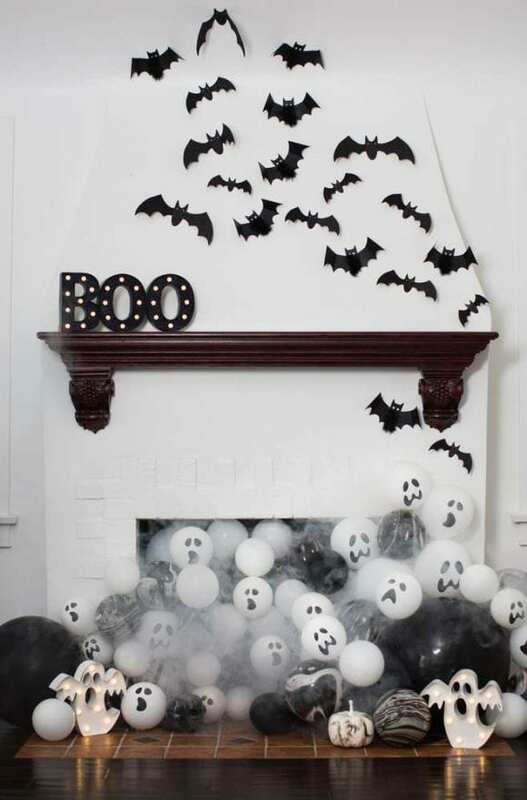 Then, just add as many cutout black paper bats as you can on your walls, and you've perfect Halloween party decorations. Kids are going to love grabbing candy or cookies out of a beautifully decorated jack o' lantern serving bowl like this one. You could have fun with your kids and try to make a paper mache one yourself. 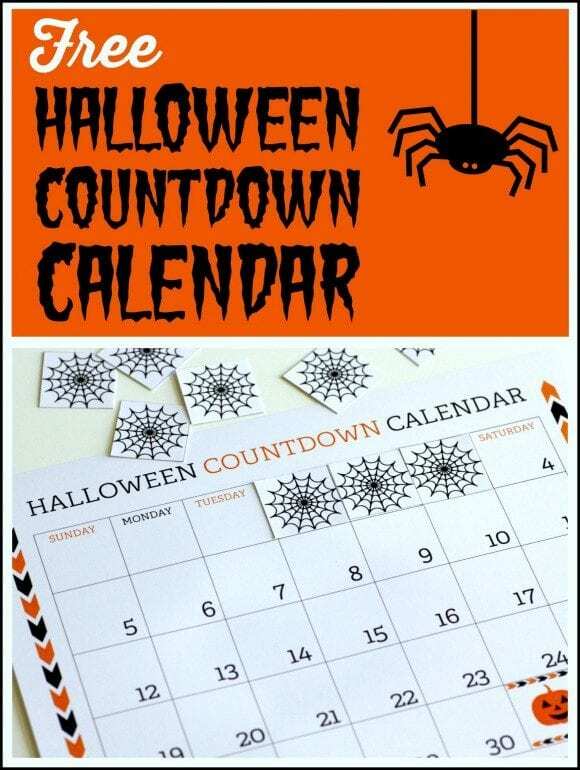 It's a great project to work on during the run up to Halloween and will have your kids excited about their party! Imagine just how much fun they'll have decorating it and how proud they'll be to show it off. 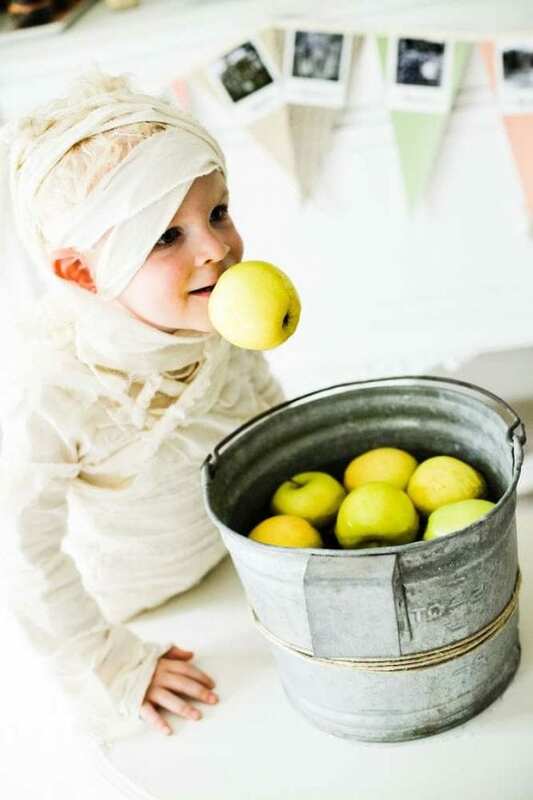 Keep your little guests entertained with a fun traditional bobbing for apples game. It's quick and easy to set up and the kids will have a laugh! 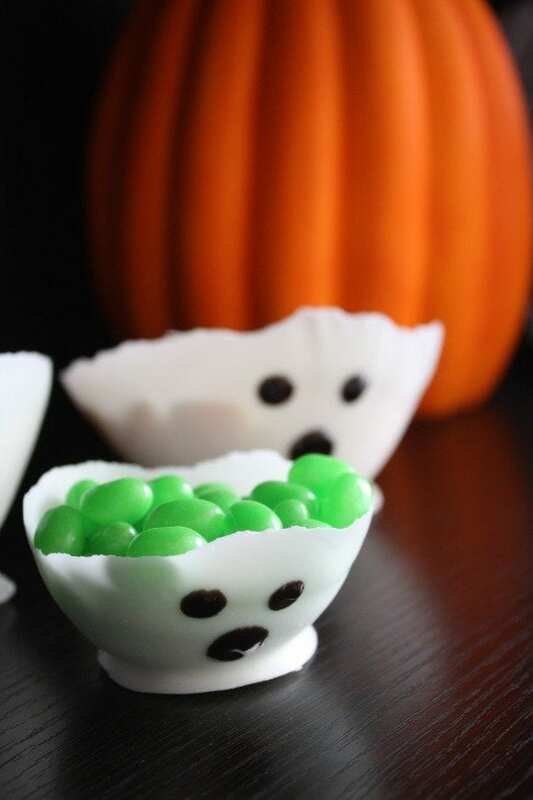 You can also do this with hanging donuts or mini candy bars! 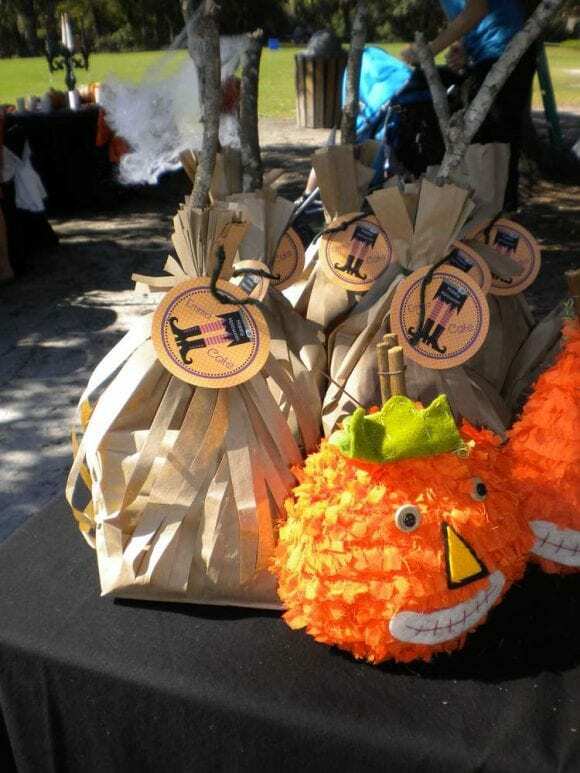 In keeping with your Halloween party theme, send your guests home with a cool witch's broom party favor bag like these. Just add a stick and a fun label to give that that extra Halloween look and you're done. 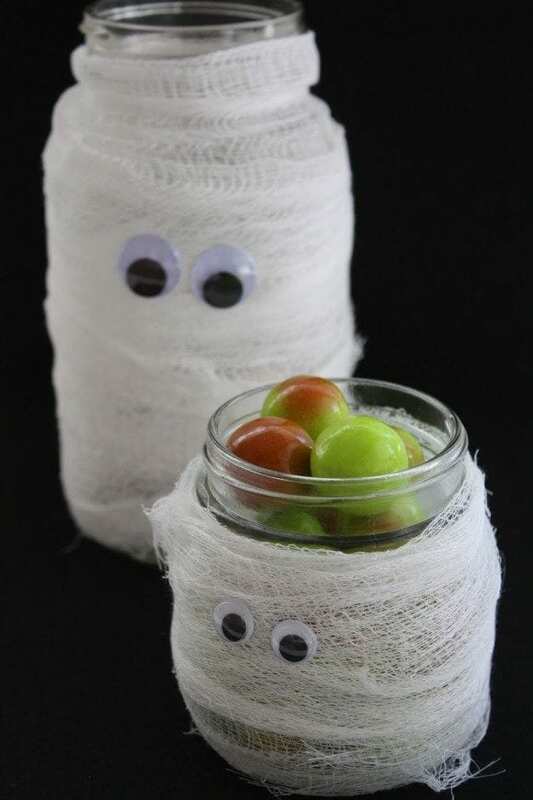 For more inspiration, check out all these fantastic Halloween party ideas on our site, and check out these Halloween party supplies from vendors with listings on Catch My Party!